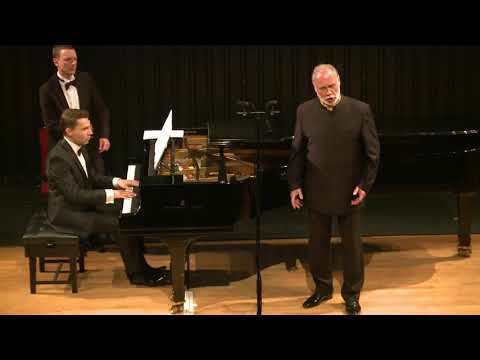 Sergei Leiferkus is considered one of the world’s most renowned performing artists. His ability to convey both nobility and evil makes him most noted for roles such as Scarpia in Tosca, Iago in Otello, Rangoni in Boris Godunov, Telramund in Lohengrin and Alberich in Der Ring des Nibelungen. He has appeared at opera houses throughout the world, among them the Royal Opera House Covent Garden; the Vienna State Opera; the Opéra Bastille, Paris; La Scala, Milan; Deutsche Oper Berlin; San Francisco Opera; the Metropolitan Opera, New York; Lyric Opera of Chicago; Palau de les Arts, Valencia; De Nationale Opera, Amsterdam; Teatro Colon, Buenos Aires; and at the Edinburgh, Bregenz, Salzburg and Glyndebourne Festivals. On the concert podium he has appeared with orchestras such as the London Symphony, Boston Symphony and Montreal Symphony, the New York Philharmonic, National Symphony Orchestra Washington DC and Philadelphia Orchestra under conductors including Claudio Abbado, Valery Gergiev, Lorin Maazel, James Levine, Bernard Haitink, Vladimir Ashkenazy, Zubin Mehta, Riccardo Muti, Seiji Ozawa, Kent Nagano, Leonard Slatkin, Vladimir Jurowski, Kurt Masur and Sir Georg Solti. The singer’s repertoire includes almost fifty opera roles, among them Eugene Onegin, Mazeppa, Prince Igor, Ruprecht (The Fiery Angel), Nabucco, Macbeth, Simone Boccanegra, Amonasro, Iago, Gérard, Don Giovanni, Telramund, Alberich and Klingsor. 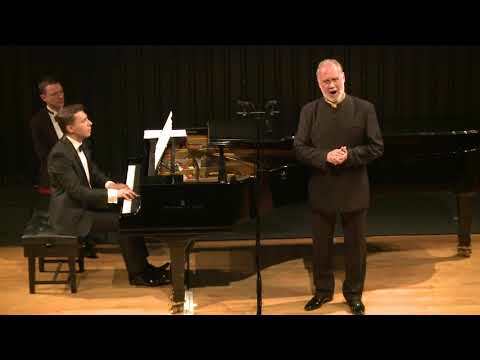 Almost one third of Sergei Leiferkus’ repertoire comprises Russian music from the 19th and 20th centuries. Most recently he added several new roles to his repertoire. At the Hamburg State Opera, he sang his first Schigolch in the award-winning premiere of Lulu staged by Christoph Marthaler (three act version) and, also at the Hamburg State Opera, the role of L’uomo in the first staged production of Peter Eötvös’ Senza Sangue in Germany. At the Nationale Opera Amsterdam he appeared in the world premiere of Alexander Raskatov’s A Dog’s Heart as Professor Filip Filippovich Preobrazhensky, and at the Glyndebourne Festival and the Sächsische Staatsoper Dresden he sang The Forester in The Cunning Little Vixen by Leoš Janáček. Sergei Leiferkus has recorded almost forty CDs. His first CD recording of songs by Mussorgsky received a Grammy nomination, while another recording of all of Mussorgsky’s songs (on four CDs) was awarded the Cannes Classical Award and the Diapason d’Or Prize in 1997. The catalogue of Sergei Leiferkus’ video recordings includes operas staged at the Mariinsky Theatre (Eugene Onegin and The Fiery Angel) and at Covent Garden (Prince Igor and Otello), three versions of Pique Dame (Mariinsky Theatre, Wiener Staatsoper and Glyndebourne) and Nabucco (Bregenz Festival). 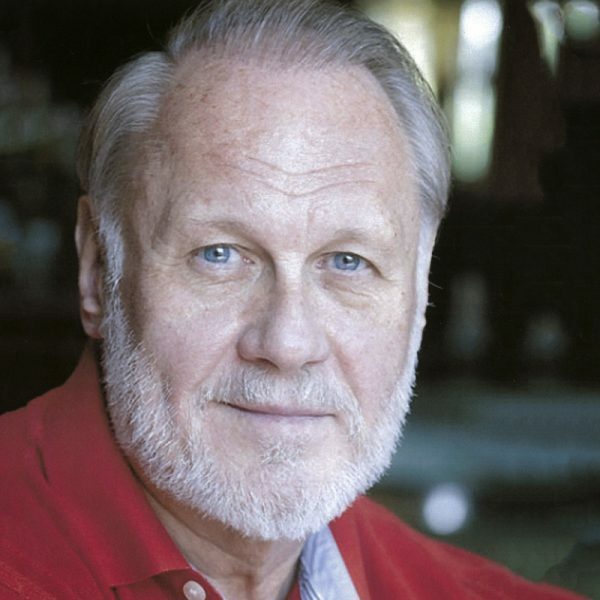 Another production featuring Sergei Leiferkus has been acclaimed director Robert Wilson’s Der Ring des Nibelungen at the Théâtre du Châtelet, Paris. Sergei Leiferkus was born in St. Petersburg (Leningrad). After a first engagement at the Maly Theatre (today: Mikhailovsky Theatre), he joined the ensemble of the Mariinsky Theatre in St. Petersburg. 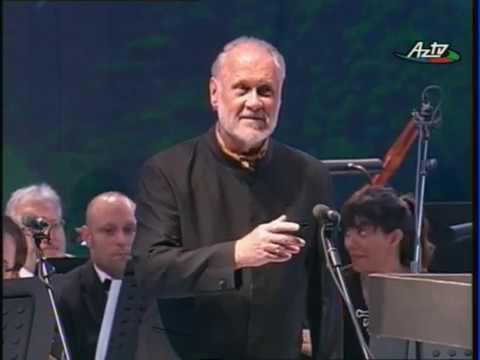 His debut with the Berlin Philharmonic Orchestra under Kurt Masur in 1980 launched his international career.